Dat iz teh rite siez fur mai lunsh! 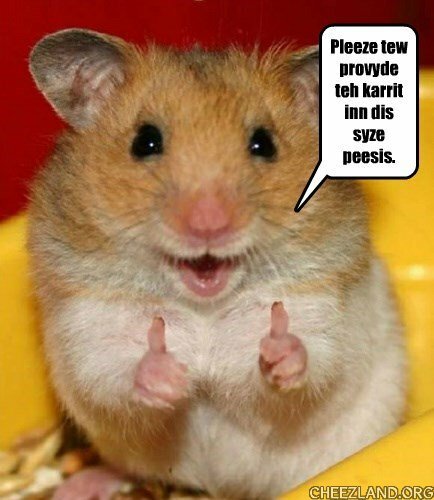 2 thums up ofr carrits! In Cheezland, the time is 20:55.